With Belize to the east and Mexico to the north, Guatemala has long been overlooked in favor of its flashier neighbors. But from its inland sights to its paradisiacal beaches, it won't stay that way for long. Here are 10 reasons why Guatemala should be on everyone's travel radar. 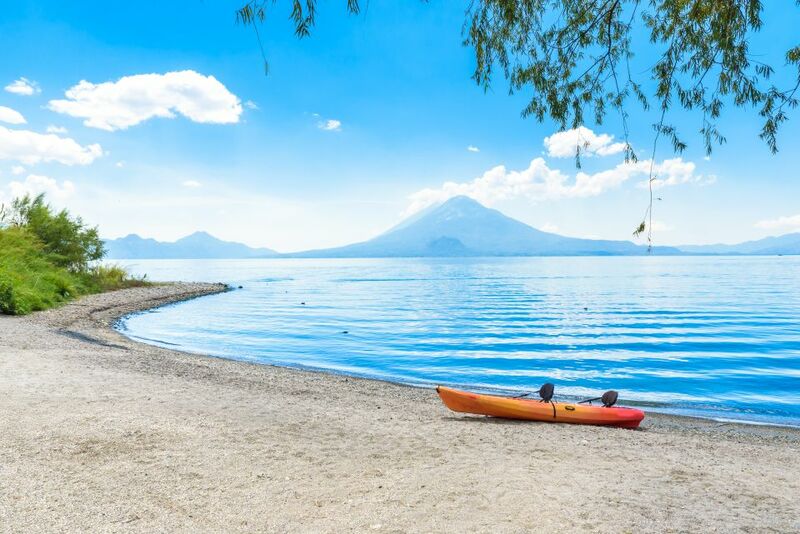 From verdant rainforests to relaxing beaches, everywhere you look in Guatemala is a feast for the eyes. 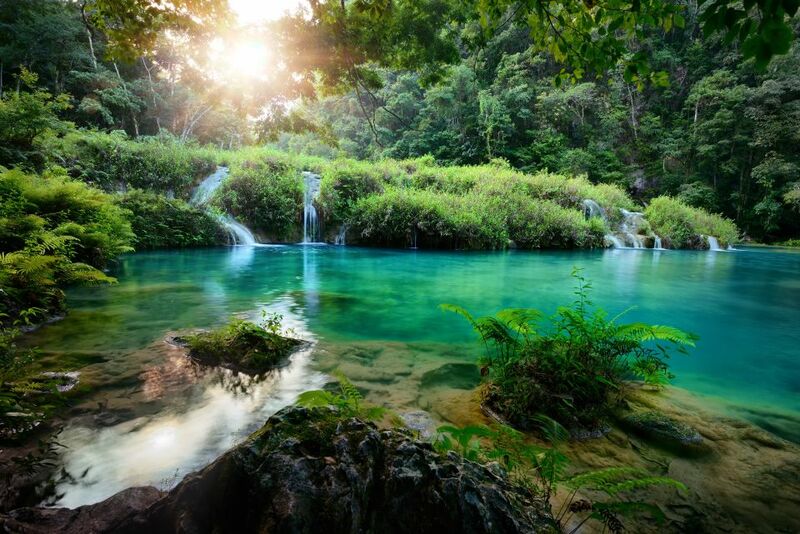 Light glints through the lush foliage onto the wild beauty of Semuc Champey's natural pools, and the UNESCO-listed Rio Dulce winds its way from Lago Izabal all the way to the Caribbean. The mist-covered forests give way to the canals of Monterrico Nature Reserve, home to a variety of flora and fauna including sea turtles, iguanas and crocodiles. The reserve provides a sanctuary for the delicate mangrove swamp and the wildlife that call it home. The best time to visit is during turtle hatching season when visitors can watch newly hatched turtles making their way to the water. 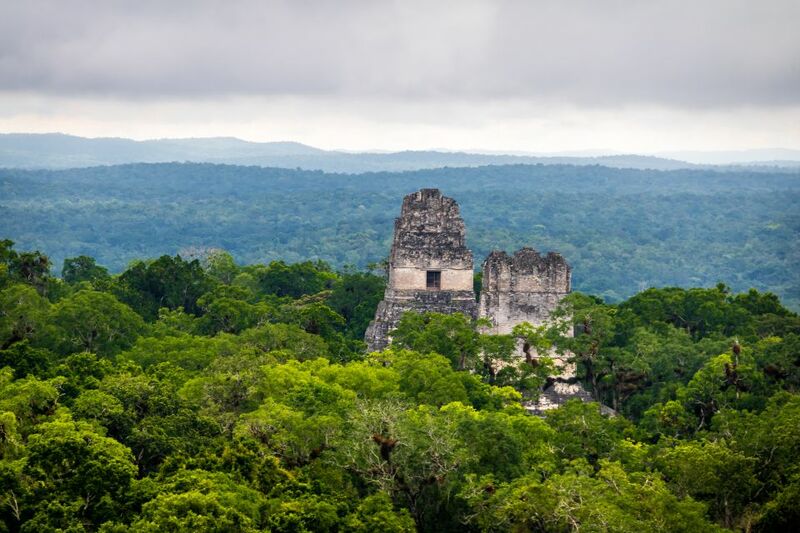 Tikal is Guatemala's most famous ruin site, dating back to the 4th century BC. The UNESCO-listed archaeological is one of the largest of its kind, and it is truly massive. Once a huge commercial, military and political center for the Maya civilization during the classic period, more is known about this site than most other cities from the same epoch thanks to diligent record-keeping. In the heart of the rainforest, it's a national symbol of Guatemala, and many species of wildlife have also started to call Tikal home. Taking an early morning trip to see the ruins before the sun gets too hot is yoru best bet for seeing the ruins. A local guide and a map are also great options for expert information about the site. But while spectacular, Tikal isn't the only ruin site in Guatemala. There are actually hundreds of sites to choose from. The pyramids at Yaxhá are smaller than Tikal, but with 500 structures, two ceremonial ball courts, and 40 engraved stone columns known as stellae, the complex is hardly puny. Also, the ruins of El Mirador in the far north of the country are home to one of the largest pyramids in the world, the La Danta Temple. And that's just two of them. 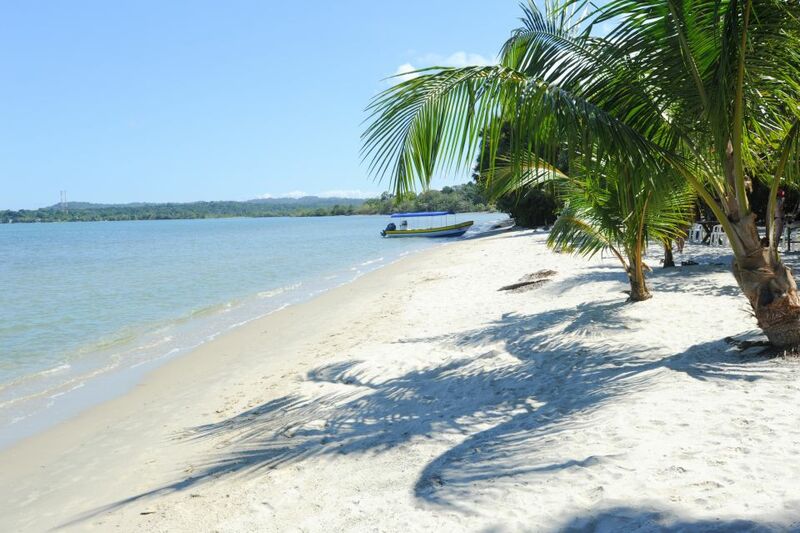 Guatemala has two coasts to choose from: the Pacific and the Caribbean. The dramatic black sands of the aforementioned Monterrico is situated on the Pacific Coast. Attached to a humble fishing village, the beach maintains its small-town charm and is rarely crowded. Although not as picturesque as some of the other beaches in Guatemala, large resort complexes and overpriced food and drink are still unheard of here. Playa Blanca outside the quirky town of Livingston offers clear water and white sand as its name suggests, and it's only accessible by boat. There is an admission fee, but most visitors will tell you that it's definitely worth it. There are also many wild surf spots along the country's Pacific coast, and Guatemala is often considered one of the last undeveloped surf spots along the Pacific ocean. The coastline is replete with waves for everyone from novice to experienced surfers. Guatemala's interior is just as splendid as its coast. Situated at 1,560 meters above sea level, Lake Atitlan is a massive crater lake in the western part of the country ringed by rugged mountains. The shore is speckled with Mayan villages, and the majority of their inhabitants are indigenous. The traditional textile work of the region varies from village to village, and it's the perfect place for purchasing souvenirs and getting a taste for Guatemalan rural life. Panajachel is the largest and most tourist-oriented town, but there are a total of 11 towns surrounding the lake. Atitlan is also home to a large nature reserve and hiking the nearby volcanoes is a must. There are fourteen different climatic regions across Guatemala, ranging from swampy mangrove forests to dry woodland areas filled with pine trees. This has allowed a vast number of colorful wildlife to flourish in its verdant landscapes. 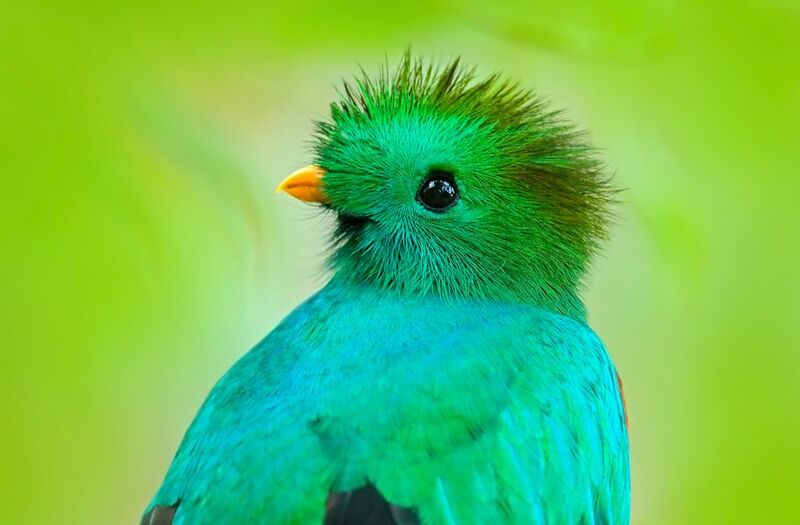 The resplendent quetzal with its red breast and green tuft of feathers on its head is just one such animal, and it's also the national bird of Guatemala. Even the country's currency bears the bird's name. Jaguars, iguanas, crocodiles, and a variety of bird species all call Guatemala home. Birdwatchers will be delighted with the incredible avian species spread across the Rio Dulce, and during any trip deep into the jungle, you're bound to get a look at the country's amazing biodiversity. ARCAS, a wildlife protection agency, also offers visitors the opportunity to volunteer and get a firsthand look at the business of preserving Guatemala's biodiversity.